Despite both teams finishing second in their leagues last season, Milan and Barcelona couldn’t have had more contrasting starts to this one. Barcelona looked set to sweep aside and conquer all that come before them, and in doing so they had their greatest ever start to the season. The same, however, couldn’t be said for Milan. Following the mass exodus of stars in the summer, Milan looked a shadow of their former selves, suffering defeats to lowly Sampdoria and Atalanta in the opening weeks. Morale amongst fans had hit rock bottom, and the Rossoneri soon found themselves playing in half empty stadiums and, to top it all off, were beaten by rivals Internazionale. Yet for all the doom and gloom in the opening weeks of their campaign, recently Milan have started to look – and play – like the Milan we were all used to. This is in no small part thanks to their precocious young talents up front; the triumvirate of El Shaarawy, Niang and explosive (get it?) striker Mario Balotelli have looked as good a strike force as any in recent weeks, and Milan have seen themselves climb up to third in the table at the time of writing – a table that, had it started 15 weeks ago, Milan would be at the summit of. But Europe is a different kettle of fish altogether, and Milan will be all too aware of the task they face when Barcelona come to town. Discussing Barcelona is harder than discussing any other team in world football, simply because anything you say about them has already been said a thousand times. They find themselves sitting comfortably at the top of La Liga, and go into the fixture with Lionel Messi having scored his 300th goal at the weekend and undoubtedly hungry to add another Champions League medal to his already-full mantlepiece. Barcelona have paid particular attention to their defensive work this season, bringing in Jordi Alba from Valencia to address their only weakness, and he already looks to be amongst, if not, the most talented left back in the world at present. Iniesta also continues to shine in midfield; just when you think he can’t get any better, he proves the doubters wrong with his majestic and penetrative style of play. 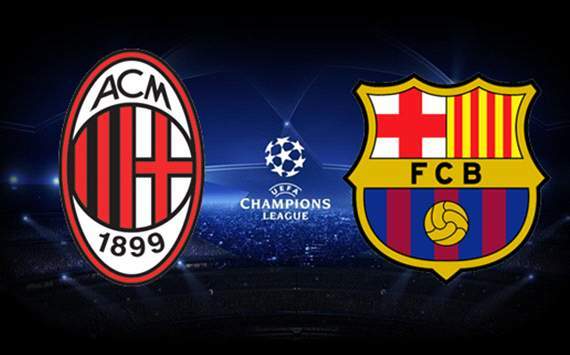 But whilst Barcelona are well-deserved favourites, it would be unwise to rule out a Milan victory at home. Whilst Mario Balotelli is cup-tied and El Shaarway a doubt for the home leg, Milan still have the firepower to sink Barcelona. The Catalan outfit have conceded a goal in their last nine games, and Pazzini and Boateng are more than capable of taking the mantle from their teammates and causing an upset. Former Barcelona striker Bojan will also be chomping at the bit to show his former club exactly what he can do. The La Masia graduate, once touted as a future world-beater, has seen his stock fall in recent years yet is still a useful, talented player, scoring three goals since his arrival on loan from Roma. Against Milan’s attacking trident, Barcelona would be wise to advise Dani Alves and Jordi Alba to curtail their attacking instincts and show more discipline at the back. Barcelona have no need to rush it or leave gaps; their class alone should see them through the fixture without having to do anything rash. 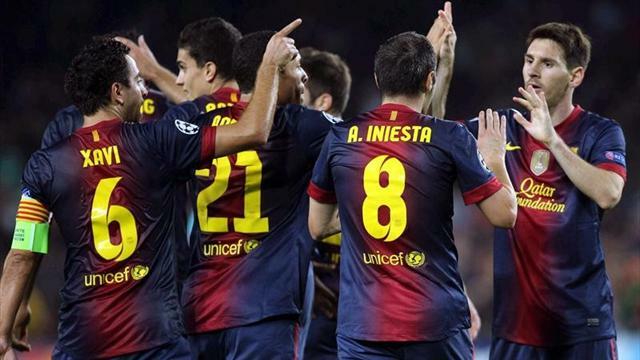 Like Milan, Barcelona themselves are expected to field three up front, but the real battle will be in the midfield. Whilst Montolivo is growing into his role at Milan and showing glimpses of his form with La Viola, him and Milan’s midfield are at danger of getting overwhelmed. Players like Flamini and Busquets will be vital in this fixture, both in starting and stopping attacks and breaking up the momentum of the opposition. Matteo Di Sciglio, one of the best defenders in Serie A this year and just one of Milan’s many revelatory and talented youngsters breaking through, faces the challenge of his life in keeping the likes of Messi and Alexis quiet, but it wouldn’t be the first time he’s surprised fans this season – it will be interesting to see how he gets on. The fixture is more than AC Milan than Barcelona – it’s the clash of two great dynasties in football. As good as Pep Guardiola’s (and now Tito Vilanova’s) Barcelona are, there are still those who rate Arrigo Sacchi’s AC Milan side of the 90’s as better. Milan’s transition from one of the best sides in Europe to a side struggling domestically has been a hard one for the fans to take, but this game is a chance for Milan to show that they still belong in the higher echelons of world football. One thing’s for certain; as far as European fixtures go, they don’t get much bigger than this. This entry was posted in Previews and tagged ac milan, barcelona, boateng, bojan, busquets, champions league, el shaarawy, flamini, guardiola, iniesta, italy, jordi alba, la liga, la masia, last 16, messi, montolivo, serie a, spain, vilanova by Kyle Oliver Hulme. Bookmark the permalink.